Holographix LLC is proud to announce that we are now ISO 9001:2015 certified! 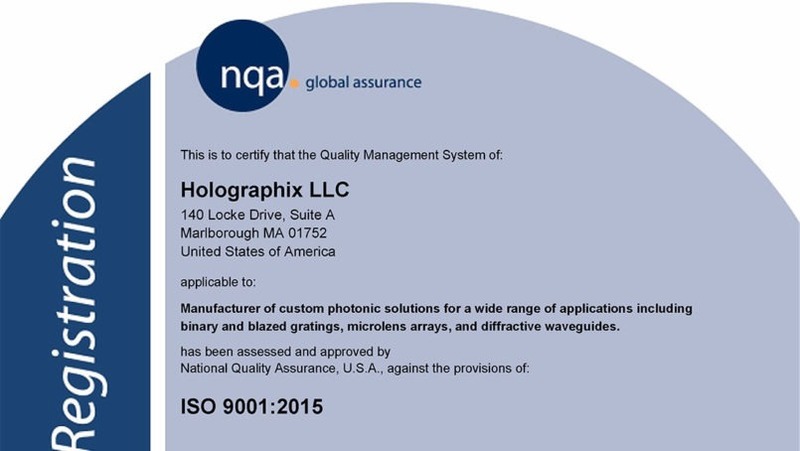 Holographix has successfully completed its certification audit conducted by NQA, and our quality management system is now officially compliant with the new ISO 9001:2015 standard. Earning our ISO 9001:2015 accreditation is a clear indication that Holographix is dedicated to holding ourselves and our products to the highest standards of quality, reliability, and dependability.